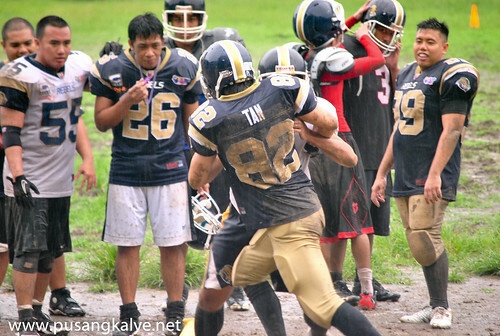 ArenaBall Philippines Inc. (ABP) is the first Philippine SEC-registered corporation to introduce American or tackle football (Philippine style) in the country.ABP currently has four committed teams, the Juggernauts, Wolves, Bandits and Rebels. I originally scheduled a training coverage with friends in Bandits but their practice was moved to another schedule. 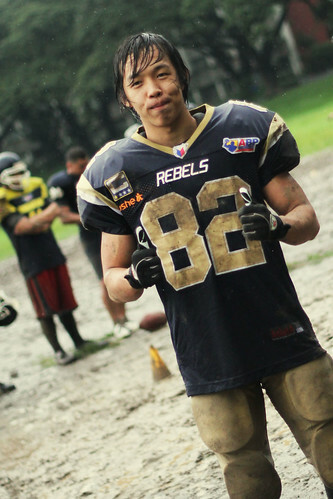 Team REBELS on the other hand started training last November 5,2011. 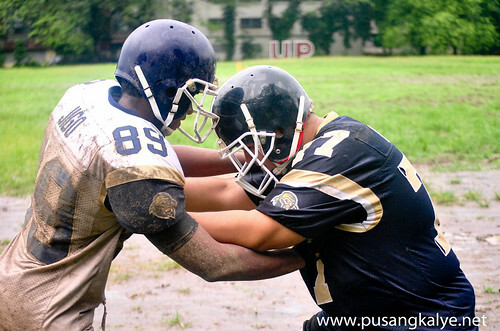 I immediately contacted Bj Padua, their team captain, so I can feature them in my blog. 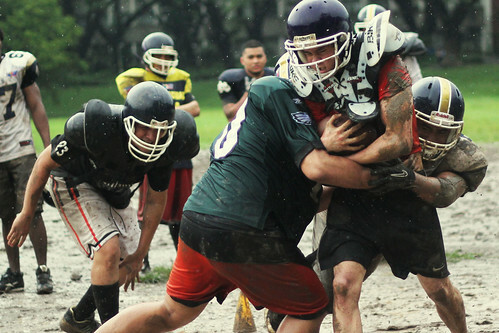 It rained hard that day but that didn't stop the REBELS from their practice. 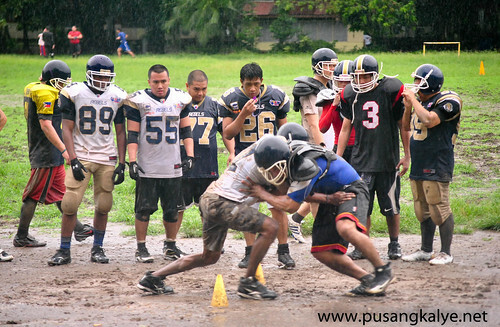 The ground in UP Sunken Garden was muddy when we got their and the team members were already on the field. We learned that they were also having tryouts for new recruits. 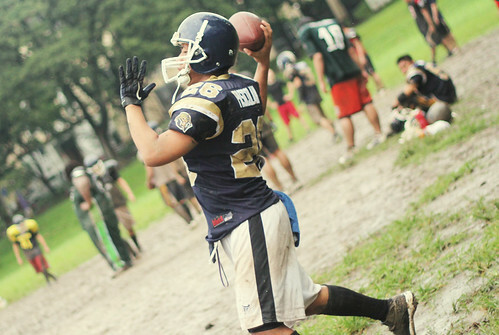 The photos below were taken during the tryout. Talked to Bj later on to know more about the group and the rules of the game especially the scoring system which I am not very familiar with until now. 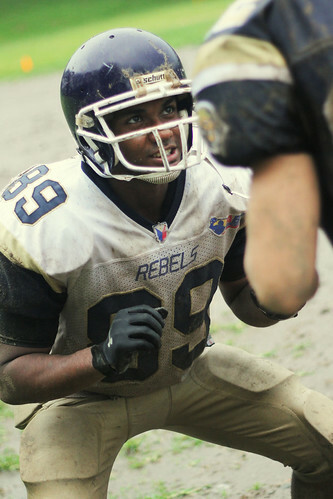 The REBELS was created only this year in time for the start of the 2nd season trough the initiative of Bj and some of his teammates in another team. 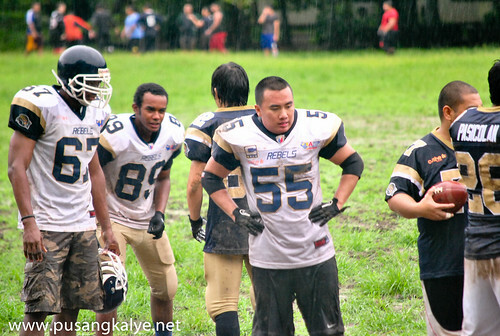 The group did well during the initial stage of the 2nd season of ARENABALL PHILIPPINES but minor mistakes pushed them back to 3rd place finish. They intend to get back with a vengeance early next year for the 3rd season of ABP which will probably be staged on March 2012. THE PHOTOS below without the watermark were taken by my friend Alex. We couldn't go near during the practice so I relied on my telephoto to gather my shots. In the case of Alex, good this his new canon 60d has built in zoom capability. 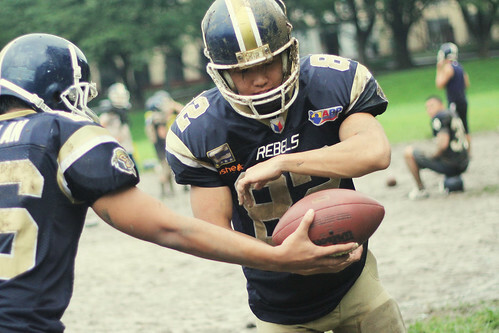 Team Rebels will be holding tryouts again this Saturday (Nov 26) at the UP Sunken Garden from 12:30-5pm.You can bring your friends who also want to try and play tackle football. 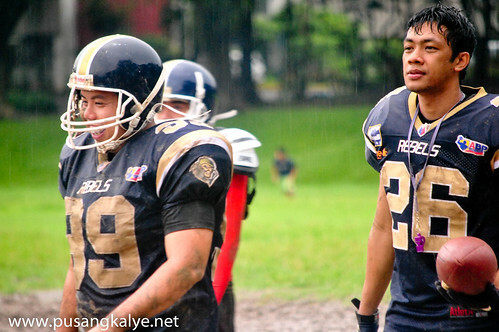 Visit and join the Rebels Football Public Group Page. http://www.facebook.com/groups/83710449522/ . 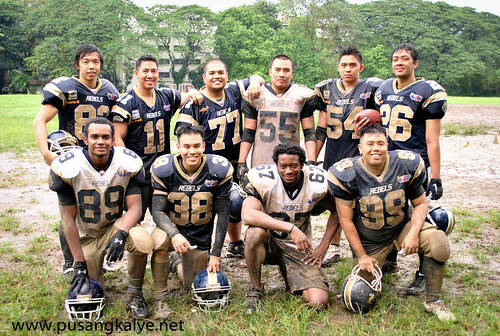 Pusangkalye will definitely feature this group more next time. Good luck Rebels!!! may laro na rin sa Pinas na ganito? 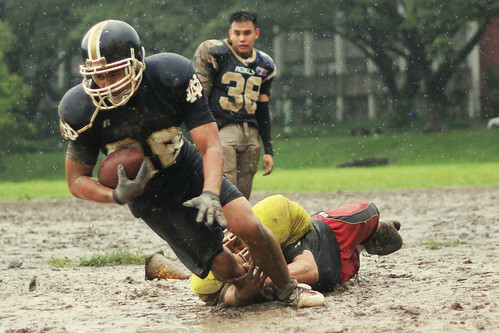 astig ah! Azkals, Volcanoes, Rebels, ano pang susunod Pusang Kalye? Sepak Takraw naman! Tim Beasley---My apologies for using the LOGO. I saw it on the wall of ABP FB page and thought it is the official poster of ABP for the next season. 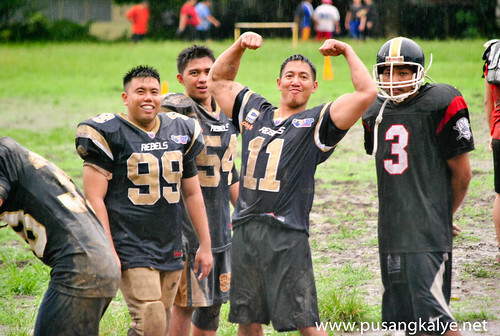 I didn't know that it's the name of the new team pala. I never heard of it before.